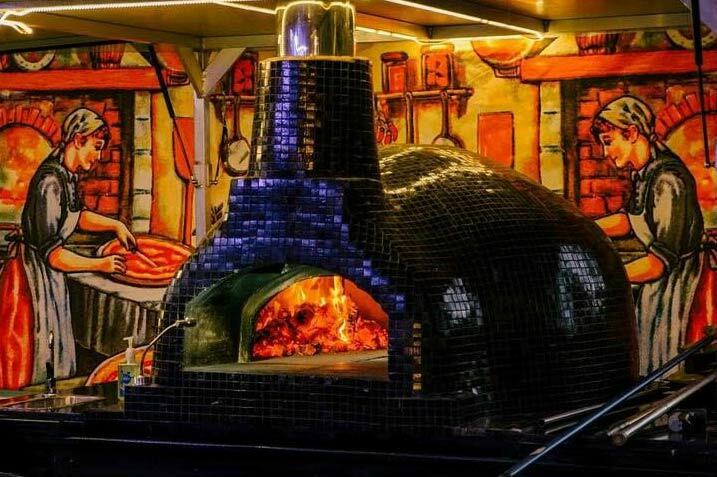 Our enormous wood fired pizza oven, that we use for wedding and party pizza catering, is one of a kind. Our oven is a traditional stone style, which was built by hand using traditional Italian methods and materials. As a result, at around 400 degrees, it is capable of cooking our thin-based Neapolitan-style pizzas in under 2 min. So, it has much to do with our oven, that gives our pizzas that signature and authentic wood-fired taste. HAVE YOU TRIED OUR PIZZA YET?
? See below for THIS WEEK’s menus ? Pizza Menu For Tewantin 30th March 2018 – GOOD FRIDAY PIZZA! See you in Sippy Downs for an Easter Movie Night!